K.H. 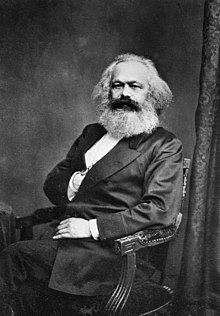 Marx (1818–83) identified and described four types of Entfremdung (social alienation) that afflict the worker under capitalism. Alienation is the separation of things that naturally belong together, or antagonism between those who are properly in harmony. Theoretically, Alienation (German Entfremdung) describes the social estrangement of people from aspects of their human nature (Gattungswesen, “species-essence”) as a consequence of living in a society stratified into social classes. There is only one way left to escape the alienation of present day society: to retreat ahead of it; every old language is immediately compromised, and every language becomes old once it is repeated. In every work of genius we recognize our own rejected thoughts. They come back to us with a certain alienated majesty. The Simpsons' is about alienation and the ambivalence of living with a family who you love but who drive you completely crazy. In the final analysis alienation is, among other things a response to the frustration created by the lack of meaning in modern society. If the individual were no longer compelled to prove himself on the market, as a free economic subject, the disappearance of this kind of freedom would be one of the greatest achievements of civilization. … The individual would be liberated from the work world's imposing upon him alien needs and alien possibilities. The individual would be free to exert autonomy over a life that would be his own. Money is the alienated essence of man’s work and existence, this essence dominates him and he worships it. Though private property appears to be the reason, the cause of alienated labor, it is rather its consequence, just as the gods are originally not the cause but the effect of man’s intellectual confusion. The less you eat, drink and buy books; the less you go to the theatre, the dance hall, the public house; the less you think, love, theorise, sing, paint, fence, etc., the more you save – the greater becomes your treasure which neither moths nor rust will devour – your capital. The less you are, the less you express your own life, the more you have, i.e., the greater is your alienated life, the greater is the store of your estranged being. We carry faithfully what one gives us to bear, on hard shoulders and over rough mountains. And should we sweat, we are told “Yes, life is a grave burden.” But man is only a grave burden to himself! That is because he carries on his shoulders too much that is alien to him. … Especially the strong, reverent spirit that would bear much: he loads too many alien grave words and values on himself. Sociologists well understand that chaos at home causes violent behavior, educational failure and social alienation among children. Yet, many of us in America stay far, far away from this topic. That in itself is a national scandal. Bad parenting is gravely harming this nation. The polypoid character of the Greek states, in which every individual enjoyed an independent existence but could, when need arose, grow into the whole organism, now made way for an ingenious clock-work, in which out of the piecing together of innumerable but lifeless parts, a mechanical kind of collective life ensued. State and church, laws and customs were now torn asunder; enjoyment was divorced from labor, the means from the end, the effort from the reward. Everlastingly chained to a single little fragment of the whole, man himself develops into nothing but a fragment; everlastingly in his ear the monotonous sound of the wheel that he turns, he never develops the harmony of his being, and instead of putting the stamp of humanity upon his own nature, he becomes nothing more than the imprint of his occupation or of his specialized knowledge. The Cathedral in Mayence is so shut in by the houses that are built round about it, that there is no one spot from which you can see it as a whole. This is symbolic of everything great or beautiful in the world. It ought to exist for its own sake alone, but before very long it is misused to serve alien ends. People come from all directions wanting to find in it support and maintenance for themselves; they stand in the way and spoil its effect. To be sure, there is nothing surprising in this, for in a world of need and imperfection everything is seized upon which can be used to satisfy want. Nothing is exempt from this service, no, not even those very things which arise only when need and want are for a moment lost sight of—the beautiful and the true, sought for their own sakes. For me, heaven would be a lack of alienation. The whole time I was growing up, I felt comfort was inherently evil. I think that, for me, heaven isn't about couches and milk shakes and never having a troubling thought again. This page was last edited on 1 February 2019, at 12:45.